I hope you had wonderful Christmas and have been surrounded by your loved ones. I hope Santa has been good this year, or shall I say I hope YOU have been good to Santa? haha I seriously cannot believe today is New Years Eve. And then 2016... 'New Year - New Me' kind of time! haha Have you made any New Year resolutions yet? If so, leave them in the comment box down below, I would love to have a look. It's begining to look a lot like Christmas, right?! I cannot believe it's Christmas next week! I am so not ready, time flies waaaaay too fast. And for some reason I don't feel festive at all. 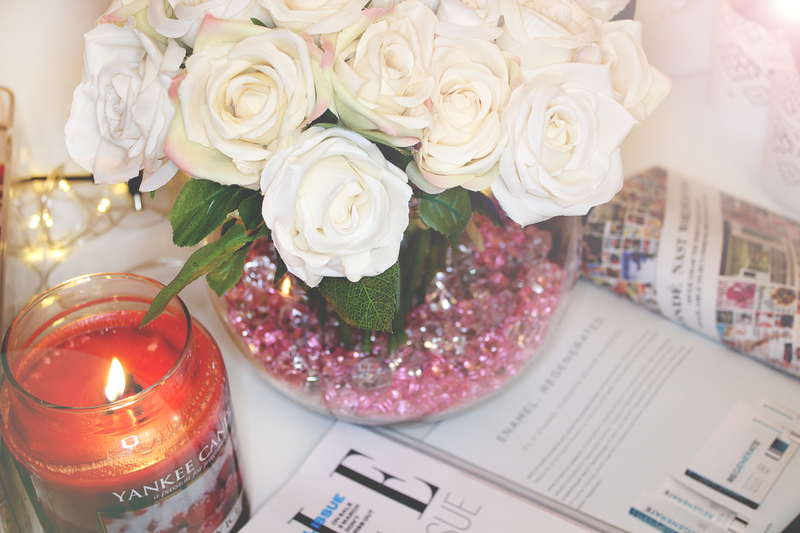 So while everyone is talking about Xmas and presents, I am here writing about another Lush haul. Morphe Brushes is well known in USA, but again us, make up fanatics in UK have very limited access to get our hands on it. Beauty youtube gurus such as: Jaclyn Hill, Kathleen Lights, Manny MUA swears by Morphe brushes products and some of them have done few collaborations with them. I have heard soooo many great things about Morphe eyeshadows palettes and 35O palette has been on my wishlist for a very long time. But as I said it's quite difficult to get our hands on this brand here in UK and I could only find few websites stocking limited quantities. I've purchased 35T palette and 8 pieces Brush Set from BeautyBay.com. As from the title you can tell, today I am going to talk about me trying Revlon face products for the first time. I know, where have I been and why I have never thought of getting any of this such a popular brand products before? It is an American brand and I have to say, many products doesn't even reach us here in UK. Such a shame, isn't it? Heeeeeey! Can someone pinch me, please? It is December already. I remember last Christmas like it was yesterday and here we have another on the way! How crazy is that? This year has gone so damn quick. I just don't get it, where all this time flies? As it's all about planning, organising and buying presents right now, I thought I would do my short Christmas presents wishlist/Christmas gift ideas. Maybe it will inspire some of you and you will get something from this list for your loved ones! I have been looking very well after my skin recently. And I seem to got in to that 'I don't care how much it cost' stage, because I can see my skin improving since I've started to pay a lot more attention. It so satisfying to see even the slightest different in your skin, knowing how much effort you put and how much money you spend to find products that really works. I am back with yet another MAC lipstick review. I have a new obsession. I used to think how can you spend almost £16 on one lipstick, but now I know what all this fuss about. The quality of MAC lipsticks is outstanding and definitely worth the price. I have seen many reviews about this product floating around the internet for the past month or so. And it is from my favourite brand Lush, it's one of their masks called Cup O'Coffe. Now, the name says it all. If you are not a coffee fan - stay away from this product! I personally cannot understand how can someone hate coffee. It's one of the best things God has sent for us! Hello beautiful people! I AM BACK!! Where do I begin... First of all, I owe you a HUGE apology for being offline for so long. You could not access my blog as I changed privacy settings. The reason behind that was my domain expiry! And the worst thing, I had no internet connection to renew it. I have been going through hell with all these issues at once. I am still not fully connected, but I've managed to use wifi connection of my phone. The connection is very slow, but I am not complaining. No matter what time of the year it is I LOVE wearing sunglasses. I don't even know how many pairs I have! In my opinion sunglasses can totally change your outfit and make you look more stylish, glamorous and super chick. Oh, how I love good, bold lipstick in autumn/winter time... Red, brown, burgundy or anything darker than usual, always gets my attention. Sadly, only very few of us dares to wear bold lips. And I don't get why? We all have atleast one dark shade that suits our skin tone the best, you just need to experiment and find right one for you! I have found few shades that suits me and the idea of wearing dark lipstick gets me very excited, maybe too much sometimes... So when I saw other bloggers and vloggers from USA raving about Maybelline Colour Sensational Creamy Matte lipsticks I went straight to my Boots to get it. And guess what... It was not there. I wanted to write this post a while ago, but never got to the point writing it. Since it's all about refugees and migrants on the news and internet at the moment, I thought it might be the right time to sit down and talk about my struggles living abroad. Hey guys, I hope you had a great weekend! I am back yet with another review. This time is more about what is under the make up. There is no secret, all of us have some imperfections we would like to hide. And that's where colour correctors comes in handy! I want to talk about Make Up Revolution Ultra Base Corrector palette. I have to admit, this stuff changed the way my make up looks and now I don't have to worry about my blemishes or dark under eye circles showing through my foundation. 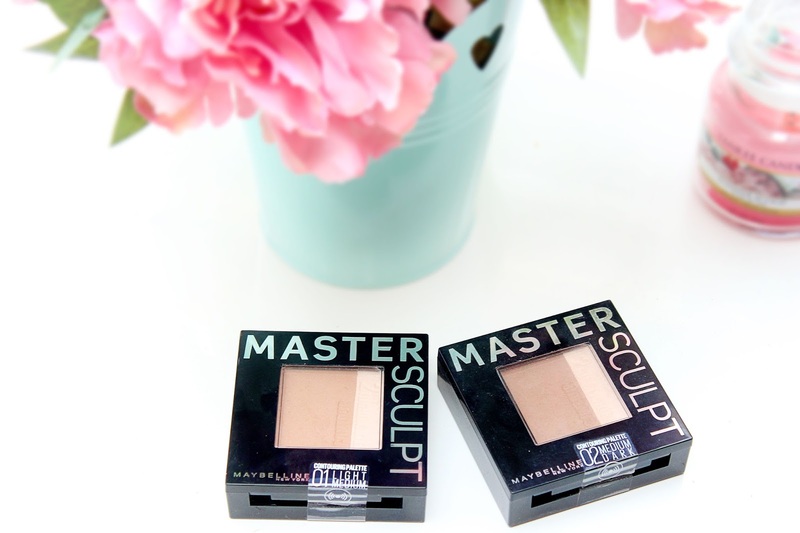 I am sure most of you have hear dabout Make Up Revolution corrector palette. Well hello there! Here is my first autumn outfit post. Yay! I am so excited that I can finally wear coats and jackets. 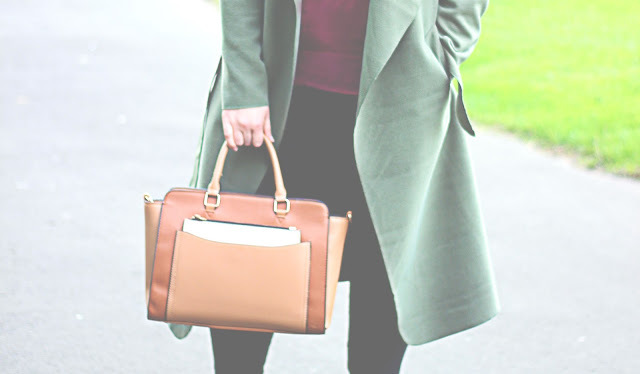 I am obsessed with coats, in any form or shape, at the moment. It's so classy and elegant. You can create so many different outfits, starting from sporty, casual and ending up looking glamorous. So I am back again... It's been so long since I wrote something on my blog and I am sorry about that. I will have to be honest with you, I had some serious thoughts to shut down my website. I just simply couldn't find ANY motivation to sit down and write. I felt like I just don't like blogging anymore. The past few months have been so busy, I still can't believe summer is now gone. Since I have been promoted at work, I barely have time for anything... I am trying to show my best results at work and by the time I get home I feel exhausted and writing a blog post sounds like a huge challenge. Everyday I felt guilty for not posting anything, everyday I was planning to make some shots for my blog, but the results never satisfied me, so I would just leave it till the next day. And that's how it got me to two weeks of silence on my blog. When it comes to blogging, great pictures is very important. It is the key to get readers attention. And I like my pictures to be the best quality I could possibly achieve. I love taking photos but when it comes to editing it can't be very long process sometimes. For my blog shots I don't like too much editing, just add more light maybe or slightly change contrast. I have always loved to play around with my pictures in Photoshop, I have learned everything myself by reading and watching tutorials and messing around with different options. 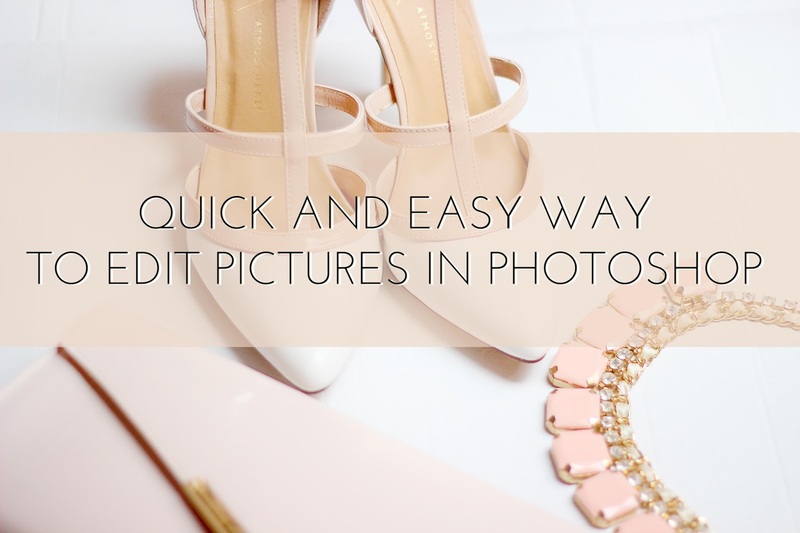 So today I thought to share how I edit my blog pictures. It is very quick and easy way. I have always loved a good facial scrub and the feeling it leaves after you wash your face. I have tried many different exfoliators and some of them worked wonders, some of them was rubbish. Knowing how many chemicals was added to those face washes, scrubs and exfoliators I wanted to have something more natural and organic. So I made my own scrub, containing the most natural ingredients I could find in my kitchen. It's very easy to make and most of you probably know this simple recipe. I meant to write this review aaaaages ago, but for some reason it got delayed pretty bad. I have been using these two bad boys for over two months now and I think I have something to say about it. If you are a Lush fan, then you already know both of these goodies. HERBALISM is gentle exfoliating cleanser containing natural ingredients such as: ground almonds, nettle, rosemary, rice, chamomile, etc. It supposed to even out your skin tone, clean all dirt and grease, whilst revitalising your skin. It was my first ever purchase from Lush, after reading so many fantastic reviews I thought I needed this in my life. I was suffering from bad breakouts at the time I got it, so I had high expectations for both of these cleansers. Hey guys! I hope you had a good weekend! Today I want to share my hair styling favorites. As I have mentioned in my previous post (you can read it here), I have been having very tough time with my hair lately. I have been loosing my hair like crazy! So I cut on heated styling tools. I only use my hair straightener once or twice a week. I let my hair dry naturally, meaning it will not have as much volume as it would after blow drying it. Once my hair is dry I would grab Batiste Dry Styling XXL plumping powder. I would apply some on my roots and rub it in. I have to say it will not leave the nicest feeling on my scalp when touching it, but I don't mind. It does not give amazing boost to your roots either, but you can definitely tell the difference. If I feel like going for more dramatic volume, I would slightly tease my hair with this teasing brush I bought from Primark. I think it only cost me a £1 but it does the job well. I know teasing can be very damaging to your hair, so I only do it once or twice a month. To brush my hair I am using my one and only Tangle Teezer. I am so used to it, that no other brush works so well as TT. Once you've tried it you will be addicted, trust me! I used to HATE brushing my hair, sometimes it gets so frizzy I would cry trying to brush it all out. But there no more tears since I've purchased TT about a year ago. I would highly recomend getting one if you haven't yet. To protect my hair from heat I use Loreal Elnett Satin heat protecting spray. Everyone seems to be loving this a lot. Even my hair dresser recommended it. This spray leaves my hair very very soft and silky. I love how well it holds all fly outs and I don't have to worry about straightening my hair again on the next day, because it will still look great. It can be a little bit pricey, but you get huge bottle and it lasts for ages. I have been trying to keep my hair not washed for as many days as possible (I know, sounds gross). Washing your hair too often can dry it out and remove natural scalp oils. You don't want this to happen, because that is when you get dry and damaged hair. So I would wash it only twice or 3 times a week max. And to keep it looking fresh I use Batiste Dry shampoo. I will tell you something, I HATE dry shampoos! All of them. I just can't stand the feeling it leaves to my hair and this white powdery residue! Arrrrghhh..... But it's not much I can do about it, so I would just tie my hair up in a bun and get on with my day. Sometimes if I wear my hair loose I will take Lush No Drought with me anywhere I go, it makes a great purse friendly product and it does the job well. I, actually, prefer Lush No Drought because it feels nicer on my hair after application and it smells amazing! This tiny bottle will last you for ages, because a little goes a long way. I love leave in hair treatments. Recently, while walking around the Boots store, I came across their 'Reduced' shelf. I like to stick my nose there from time to time because you can find some really good bargains, brand new with damaged packaging or ripped label, etc. So this Schwarzkopf Omega Repair BB Beauty Balm was one of them. I bought it for a pound or something like that because the lid was broken. Haven't used it for a very long time, but I love this product already. It smells AMAZING! It is so strong, you don't even need perfume, trust me it lingers through the whole day! Some people might find it annoying, but I don't mind. It leaves nice feeling on my hair, it's not greasy or sticky and dries immediately. And last, but not least Tresemme Salon Finish Freeze hold hairspray. This is my all time favorite hairspray. It holds my hair so freakin' well, even through the rainy windy day my hair stays in place. I have tried many different hairsprays and nothing worked for me so well as this. Once you spray it, your hair is glued! And it doesn't look like you have any product on your hair, it does not leave flakes like some other hairsprays. It is absolutely brilliant! Love it. Share your favorite hair styling products down below. Thank your for reading! Hey guys! How are you all doing? I hope you are ok and all set up for a weekend. I have been really struggling to find time and write more posts lately, work has been so busy and stressful I haven't had time to sit down on my laptop or even take pictures for my blog. So I am very sorry about that. I will be extremely late with this post, as everyone already talked and sang about this product, except me. Why, you ask? Because it was IMPOSSIBLE to get my hands on it! It was always out of stock. As you can see from the title, it's yet another Lush haul... I know, I know... I am now fully converted Lush fan! Only blogging got me in to this obsession, but I feel thankful for every single blogger out there, because now my skin is in the best condition ever. I have been visiting Lush store quite often and can't seem to get enough. So many amazing products to try out and so not enough money to buy them all! Arrrrrgh.... I've treated myself and grabbed some more goodies for my skin and hair. Check out my purchases. Contour has been a huge thing in make up industry for quite a while now. And I am not gonna lie, I can not imagine my make up routine without a little bit of contour. I don't do full face countouring and I will tell you why: first, I am not good at it; second, I don't want to wear heavy layers of make up everyday. But I have been looking for good contour kit, that would be reasonably priced and would do the job well. Since contouring and highlighting is such a huge thing at the moment, I have been looking around for my perfect highlighter. And that's where I came across MUA Luxe Highlight Shimmer. Retailing for only £4 I thought to try it out and maybe it will be The One for me. Well, I can't say it is something I was looking for, but it's pretty close. Highlighter comes in very cute packaging and looks more expensive than it actualy is, in my opinion. Simple stick type packaging makes a very travel friendly buddy, as it's perfect for your purse. The color it's actually exactly the same as packaging, very light rose tone with gold shimmer. Texture wise, it's creamy highlighter which doesn't need blending. It is not very pigmented, so you will need to apply a bit more if you are a huge shimmer fan. 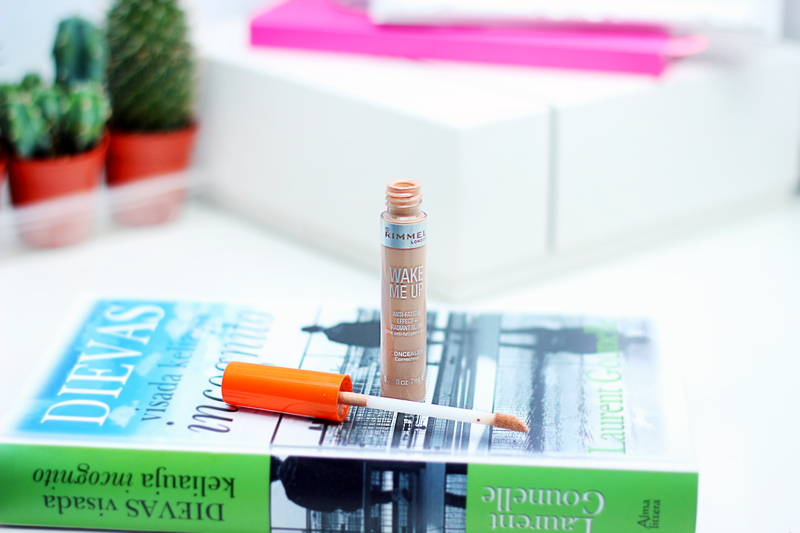 If you are like me and prefer just minimal glow to your cheekbones, then this will do the job well. It looks very natural once applied and gives nice summery glow to your skin. MUA also sells bronzer and blush sticks, I was only able to find the bronzer at my local Superdrug, but it was way too much of the bronze, so it was a huge NO NO for me. I think it is not very bad product after all, costing only £4 it makes a pretty decent highlighter for bargain hunters. Let me know if you have tried MUA Luxe highlighter? What are your thoughts? While other girls layering fake tan on their bodies and trying to get their eyebrows on fleek, I am sitting at home with the biggest glass of wine catching up on my favorite bloggers and youtubers. I might sound boring, but I just don't see a point going out and getting absolutely wasted. I remember the days, when after 14 hours shift lying down in my bed half a sleep, my friend calls me telling we must go out tonight. And I use to jump right out of my bed, do a quick make up, throw something on and head to town to have the best night of my life. Oh my god, really? Where was I getting all this energy from? Am I getting old?! The idea of spending more than £50 in just few hours for few drinks and a cab makes me feel sick. I could buy so many valuable and very useful things for this money! Like 3 MAC lipsticks or UB Naked eyeshadow palette or bunch of other amazing stuff. All this time you spend out in the club, being chased by drunk guys or looking after your friends or being smashed yourself, how can you call it a good night? My perfect Friday or the whole weekend is when I can really enjoy myself, without rushing and doing something I love. This Friday evening I was very productive. After finishing work, I went to do grocery shopping, cleaned my whole flat, have done my washing, cooked dinner for myself, wrote few blog posts and now catching up on Gossip Girl with my favorite glass of wine. I am so proud of myself, considering the mess I left in my whole flat after decorating, I have managed to finish it all this evening. I feel exhausted and full of energy at the same time. There is no better feeling than lying in your bed, watching your favorite TV series, sipping on red wine and knowing that tomorrow you will have a day off! Ohhhh... Happy me! Take a look at the snaps of my peaceful Friday and let me know how you spent yours.